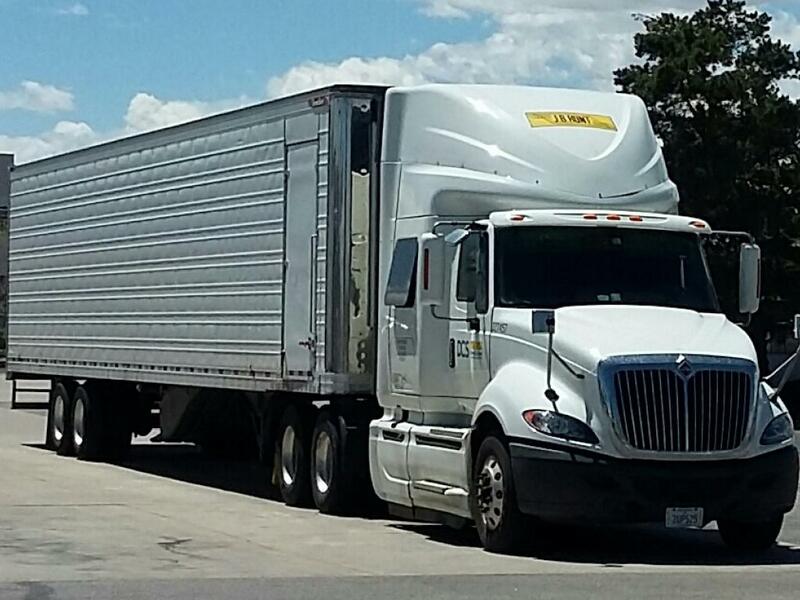 Latest Phase in J.B. Hunt vs. BNSF Leads to Big New Charges for Hunt; Process Ending Soon? J.B. Hunt (NASDAQ: JBHT) is taking a hit $134 million hit in its long-running dispute with BNSF as the matter moves toward a resolution. In a filing with the SEC, Hunt said the arbitrator in the case had handed down a Clarified Interim Award, the cost of which Hunt estimates at $134 million. The Hunt SEC filing last week -- similar to one made in October -- did not specify what the arbitrator decided. However, it did say that the arbitrator has asked for "further submissions on the revenue divisions (between the two companies) as well as other confidential issues raised during the arbitration process so that the panel can issue an appropriate interim and/or final award regarding all issues raised." After that recap, the Hunt SEC filing states the company will record pretax charges in the fourth quarter of of $89.4 million "claimed by BNSF" for the period between May 1, 2016 and December 31, 2017. It also will take a charge of $44.6 million for all of this year. The charges come on top of an $18.3 million award in favor of BNSF in the fall, which led to Hunt taking a charge of that amount for a period between April 2014 and May of this year. Ken Hoexter of Merrill Lynch described the Hunt statement as "headline number includes larger time frame; better result." His review of the process--which is still a mystery to most people--was mostly positive for Hunt, whose deal with BNSF is one of the foundations of intermodal transportation in the U.S. and has achieved almost legendary status. Merrill interpreted the Hunt filing to mean that the Clarified Award had "resolve(d) open disagreements," meaning an end may be in sight to the lengthy process. The research unit also said it believes that after a September 2005 dispute between Hunt and BNSF was resolved, the revenue split between the two went to 52-48 in favor of BNSF from what was a 50-50 division. The report then lays out other estimates: BNSF is about 63% of Hunt's container moves in its intermodal business, which is $3.1 billion in revenue. With Hunt having an operating ratio of 89%, according to Merrill, BNSF is $2.75 billion of Hunt's operating expenses. With a reward for this year of $44 million--the amount taken in a charge for 2018--the adjustment is 160 basis points, less than the 2%--200 basis points--that occurred back in 2005. The Merrill report notes that the 160 basis point shift would be less than half what it first estimated back in November when--on the basis of BNSF first estimating the size of the dispute at $100 million--Merrill figured the shift would be 350 basis points. Merrill's analysis of the numbers did not lead it to change its rating on J.B. Hunt's stock, which it kept at a buy rating. (BNSF is part of Berkshire Hathaway so has no common equity). But even so, the Hunt Price Objective was reduced to $111 from $124, and the targeted multiple was cut to 17.5 times earnings from 19 times earnings. At Deutsche Bank, Amit Mehrotra's team was somewhat more pessimistic but less granular. "While we view this charges as "one-time" in nature, we do believe the size of the charge is somewhat larger than most were anticipating and could potentially weigh on shares, though details around the arbitration process do remain relatively opaque," the Deutsche team said in a report to clients. 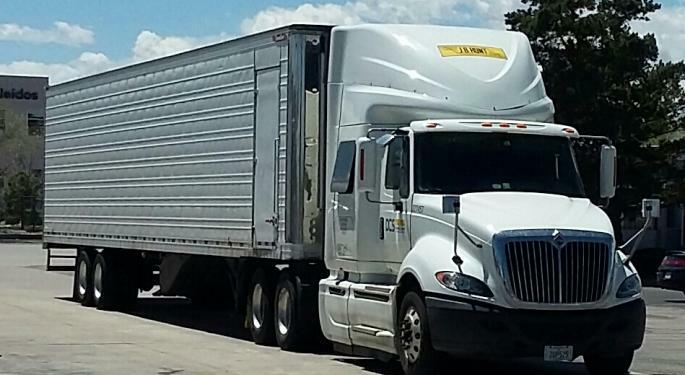 J.B. Hunt's stock is trading well below the Merrill Price Objective. After news broke of the filing, the stock dropped from its Thursday close of $95.87 to close at $92.69. But that was a day when the entire market was getting hammered; the drop in Hunt stock was 3.3% and peer group company Schneider (NYSE: SNDR) was down 3.6% that day, for example. At approximately 1 p.m. Monday, Hunt's stock had risen to $93.39, a gain of approximately 0.7% on a day when broader market indices were decidedly negative. Don't miss these opportunities to improve your business. Register for one today.